There I was, a 20-year-old electronics student, not understanding how the transistor worked. It’s a bit embarrassing to admit that it took me so long. The story starts back in my first year at University. I had played around with electronics since I was 14, and I was able to build circuits. But I didn’t understand how most of them worked. Now, I was in one of my first lectures at the University and the professor was explaining how electrons moved through the transistor. This continued for many lectures. A path between plus and minus on the battery. 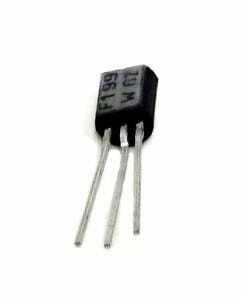 But I could not see how that related to the three legs of the transistor. And there was no way that I was going to admit that by asking “stupid” questions in front of the whole class. So I kept silent while listening to the professor going on and on about “n-doped and p-doped semiconducting materials”. The transistor must be really hard to understand, I thought to myself. Maybe this is not for me? Fast forward a few weeks/months. I don’t remember how long it took, but one day I was looking at some examples, and it all clicked. I finally understood how it worked! It was a moment of mixed feelings. But because when I finally got it, I realized it was very simple. I’ve never really had any desire to be a teacher. 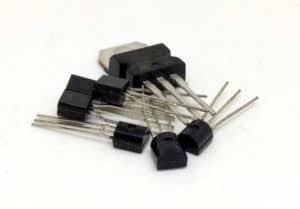 But the feeling of not understanding something as important as the transistor for such a long time, then learning that it’s actually really easy – that frustrated me. And it started giving me this urge to inform people about this. To let them know that it’s not that hard. Fast forward a few years and I started writing books, articles, and videos. With the intention of informing people about the things in electronics that I realized was actually pretty easy. Because I wanted more people to build cool things with electronics. Ohmify is my most up-to-date resource where I teach electronics. It’s a membership-site with courses that teach you what you need to be able to build your own things with electronics. And I’m constantly working on improving it. I actually just got a research grant from the Norwegian government to further develop Ohmify into something better and bigger. But more on that in another email.